To help shape and personalize a nutrition and lifestyle plan, we ask just about everyone to get some type of genetic testing done. We use this information to help find possible answers in red flag situations, but more importantly to develop a lifelong preventive plan. Most of our patients use the simple 23andme home kit to start this genetic journey. After uploading the RAW data, there is a plethora of resources available online to upload and interpret this data. The helpful data that we are looking for is in the form of SNPs. SNPS are single nucleotide polymorphisms. They are gene variants, or a small change in the DNA sequence. We either have one copy or two (heterozygous or homozygous) and they may or may not play a role in our health. We have no sure-fire way of knowing if they are being expressed, however by looking at a person’s health history, environmental exposure history, symptoms, patterns in blood work, sleep patterns, medication usage, and diet history we are able to deduce what may be affecting their health. It is not as simple as seeing someone has a SNP- and treating to that! Each SNP has an array of coenzymes or cofactors that can inhibit or induce their expression. Some SNPs we want to induce, other’s we do not. To induce the expression it can take multiple instances of exposure, however to inhibit sometimes all it takes is one exposure. This is also how we deduce what is being expressed. For example, let’s take the CYP2E1 polymorphism. When this gene is functioning optimally it assists in the detoxification of chemicals found in the environment, drugs and alcohol. Having this polymorphism has associated risks of coronary disease and certain cancers. Also, oxidative stress that is induced via the expression of this SNP has been linked to impaired insulin activity. Watercress, garlic, black tea and MCT oil may inhibit the expression of this SNP. People with this genetic mutation may also be advised to avoid acid-reducing medications as they suppress the natural detoxification functions of this gene. We have an extensive list of interpretation sites that we like to utilize. We usually recommend Nutrahacker as a starting place; due to the visual layout, genes included and low cost. However, each of those listed below have benefits and limitations. 2.https://promethease.com/ This website provides a full report of SNPs for a very low cost however, it is not user friendly and can be even more time consuming. 3.https://livewello.com/genetics This website is most notable for providing details about which pharmaceuticals may be contraindicated based on genetic variants. They just updated their report to include information about many more SNPs. 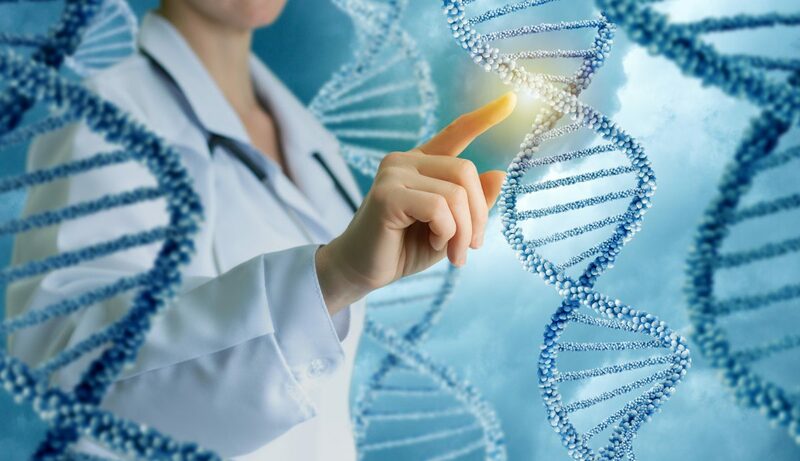 5. http://go.strategene.org/genetic-analysis This website offers a comprehensive analysis complete with graphs outlining metabolic pathways, highlighting inducers, inhibitors and substrates which is helpful in pinpointing where certain biotransformation errors could be occurring. This report is not for the general public and requires many hours of tutorials (at the minimum) to understand. It is very insightful though! 6. https://nutritiongenome.com/ This website offers and in-depth report (about 45 pages) focusing on SNPS affecting nutrition. It provides an explanation of the highlighted SNPS on each report and offers suggestions on what to encourage or avoid nutritionally. This is a bit more costly however the organization is user friendly and the information is easy to digest. They also offer their own testing kit, so it is a one stop shop! 7.https://geneticdetoxification.com/ This report examines a long list of SNPs. However, the most valuable part of the report is the book that is necessary to interpret it. The report lists pages from the book which provides suggestions for dietary changes, annual or routine testing, and which medications to be cautious with. In order to make sense of the report you need to purchase the book as well, but they are a good investment if you want to understand how your genes could affect you. * We do not recommend following supplement suggestions or purchasing vitamins from companies that interpret your genetic information. It is much more complicated than that! We help to interpret the information from these companies to set up a personalized plan for you. Call our office for more information. 239- 676-5249. ** We also have no affiliation with any of the aforementioned companies.